MOSCOW, April 11. /TASS/. Ecuador’s authorities revoked their decision to grant Ecuadorian citizenship to WikiLeaks founder Julian Assange, Minister for Foreign Affairs of Ecuador Jose Valencia said at a news conference on Thursday. 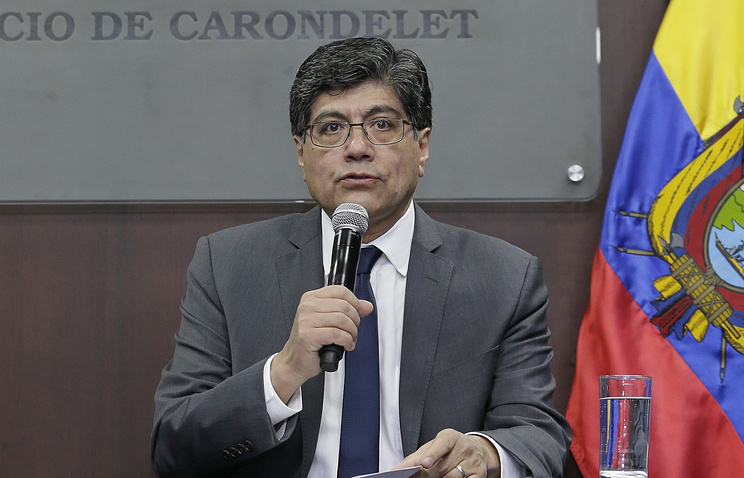 "The decision to grant Ecuadorian citizenship to Assange was suspended due to various violations (norms linked to the conditions of his stay on the territory of the republic’s embassy in the UK - TASS)," he stated.